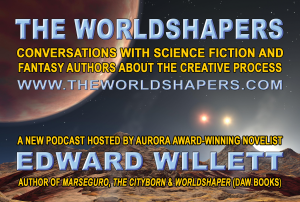 Something I’ve thought about doing for a long time, I’m now actually doing: I’ve started a podcast, The Worldshapers: Conversation With Science Fiction and Fantasy Authors About the Creative Process. In each hour-long episode, I explore how a particular author began writing science fiction or fantasy, and the go through their creative process, focusing on one of their titles they’ve selected as an example. We also talk about why they write and what they hope their writing accomplishes. The first three episodes, with Robert J. Sawyer, Tanya Huff, and John Scalzi, were released August 8, 2018: episodes will follow biweekly (to start with), coming out every other Friday. You can subscribe through various services, although as I launched, iTunes had a problem precluding adding The Worldshapersto their service. But it will happen! Have a listen, enjoy, and subscribe! 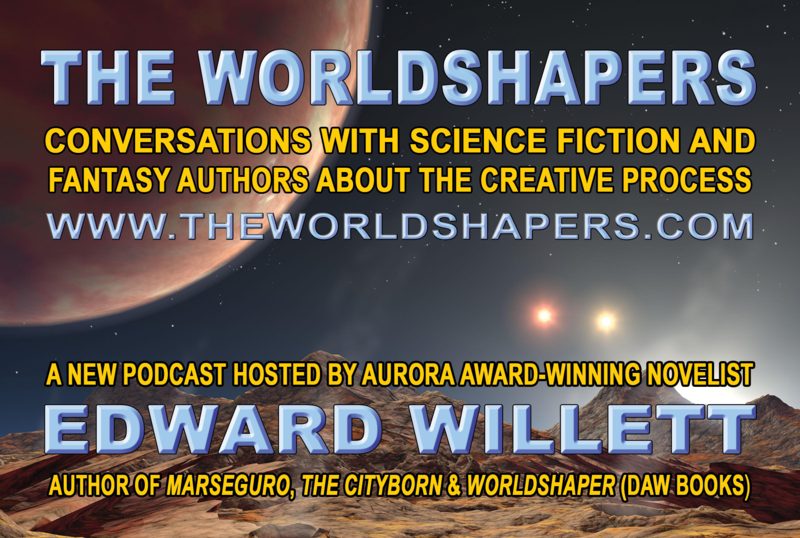 Future guests already lined up include Julie Czerneda, Arthur Slade, Gareth L. Powell, Orson Scott Card, and Joe Haldeman.